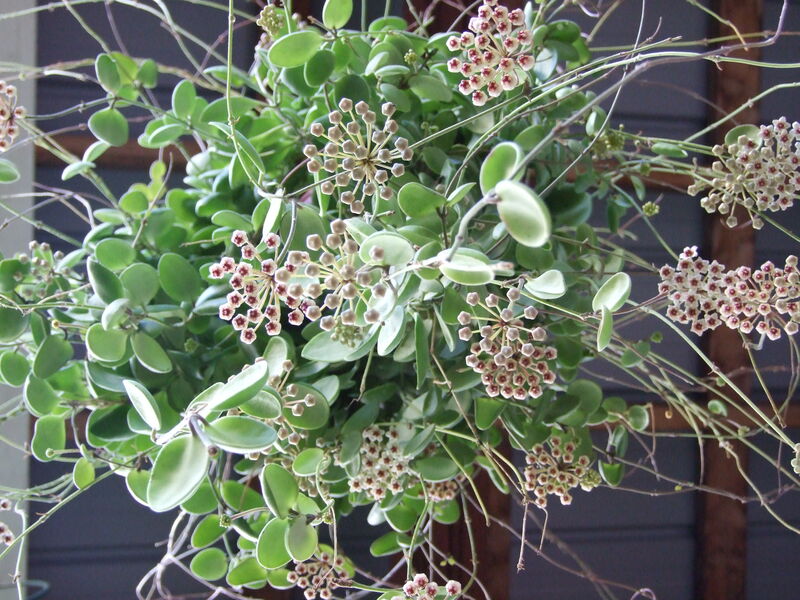 Hoya brevialata is a great Hoya! It is also commonly available at many box stores and is very often mislabeled. Exotic Angel puts out some wonderful baskets, and I highly recommend that you pick one up. 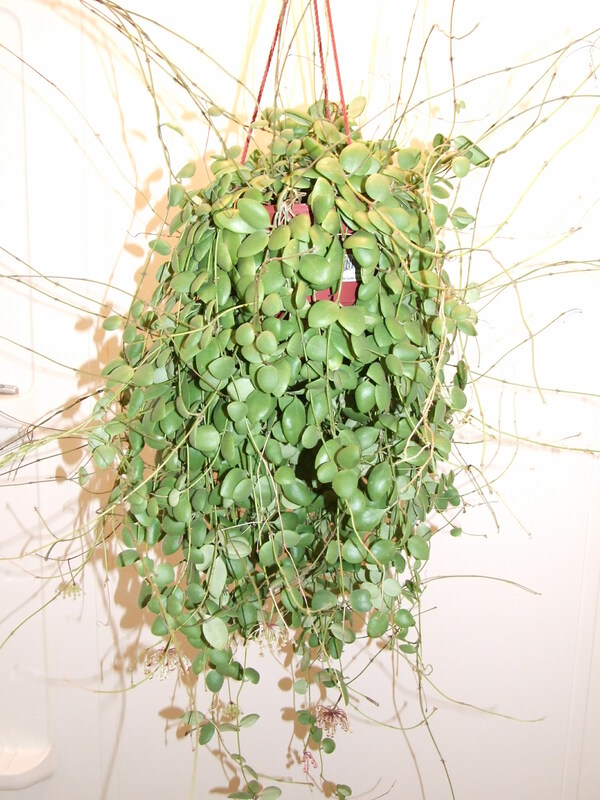 Many people find that they need to re-pot all of the EA Hoyas that they buy. I have never found that to be the case where I live. I have had very good luck leaving them right where they are. Generally you can look for blossoms on many EA plants about 1 year after purchasing. The brevialata pictured is from a two year old plant near the end of the summer. It spent that particular summer in the greenhouse with very positive results – a real stunner – especially when photographed from underneath!